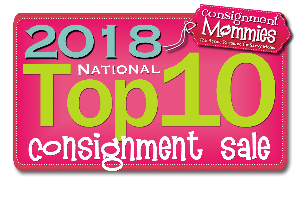 Personal information submitted by you to the WeeUsables Consignment Event web site, or collected by WeeUsables Consignment Event as a result of your visit to our web site, will be considered private and held in confidence. We will take reasonable steps to protect your personal data from misuse, unauthorized access and alteration. In addition, we will not sell, rent, trade or give away personal information to any third party for use in selling products or services without your consent. WeeUsables Consignment Event may use the personal information you provide for the purpose of providing personalized services, for class registrations, for communicating separately with you (e.g., answering questions which you have submitted to us), for reviewing in connection with current job openings, and for our internal mailing list. We will also use payment information that you provide in order to complete your purchase or to enforce payment of your account. This personal information is not shared with any third party outside of WeeUsables Consignment Event. We may also use non-personal, general demographic information about users of the site for internal marketing and planning purposes. We may also share such non-personal information with our vendors and other business partners. We may use your IP address to diagnose problems with our server, and to administer our system, and to enforce our terms and conditions of use. We also may use your IP address to gather broad demographic information concerning the use of the site. If you have any other questions or concerns regarding this privacy statement, or any other aspect of our web site, or if you wish to have any of your information removed from our databases, please contact us via the contact form.